Hello. 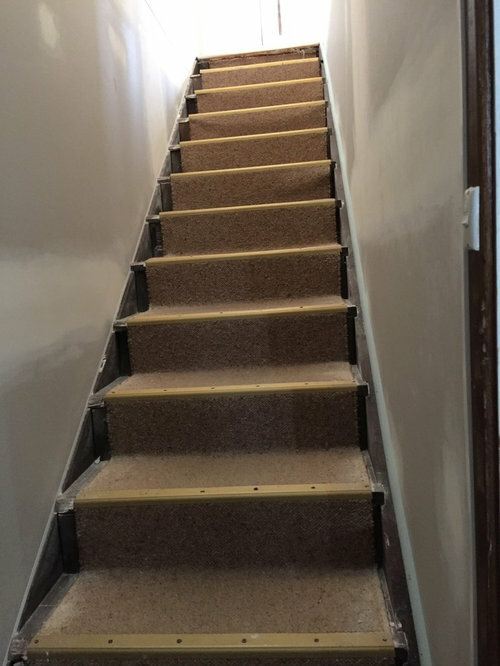 Do you have any ideas on how we can re-upholster our stairs in a childproof way. For example the gripping bars on the steps are very functional but don't look very nice. We're in a beach house so thinking about the sisal type floor covering. The stairs aren't in a good enough state to be sanded down.. thank you very much in advance!!! Kids and stairs do not mix. You need some form of hand rail for them to grip. Regarding the state of the timber. I love rustic, the rougher the better! You can always cover it up again. A trend that should end? Colour ideas needed for a holiday house!